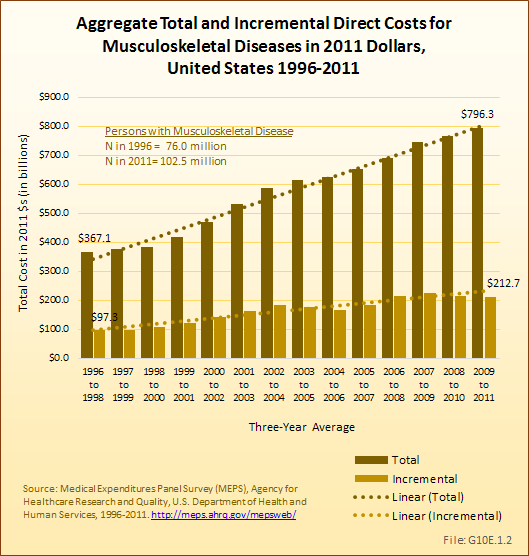 Aggregate total expenditures increased from $367.1 billion to $796.3 billion, in 2011 dollars, during this time frame, or more than doubling. 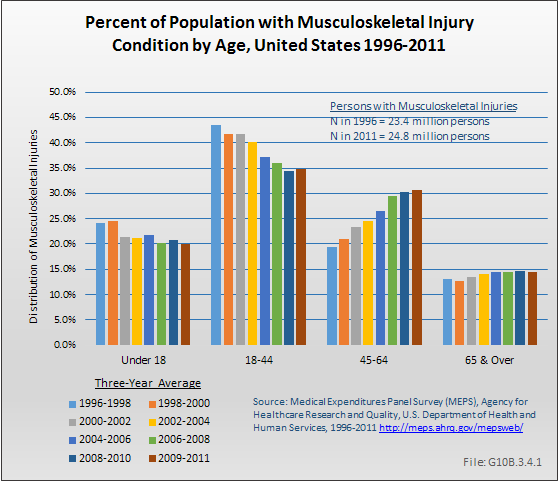 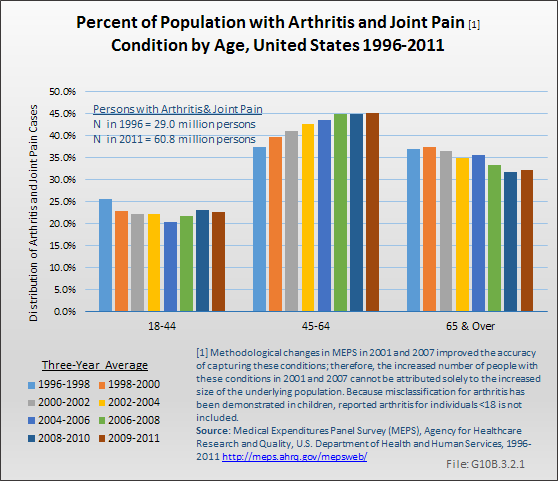 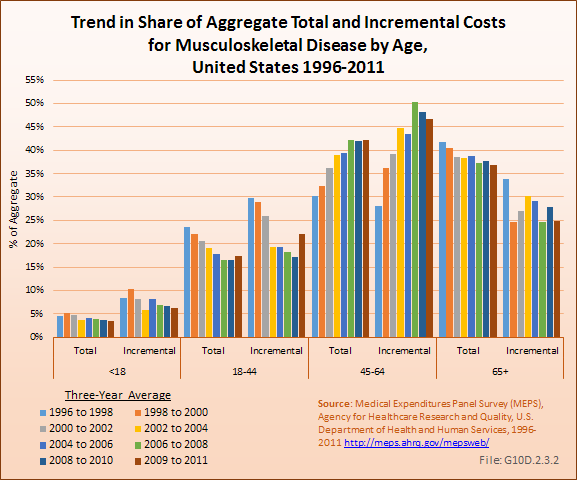 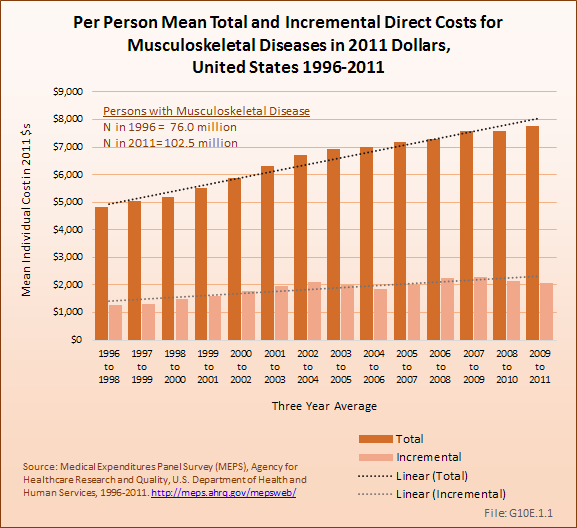 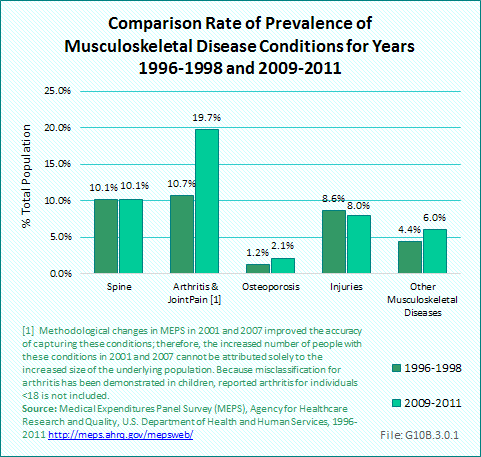 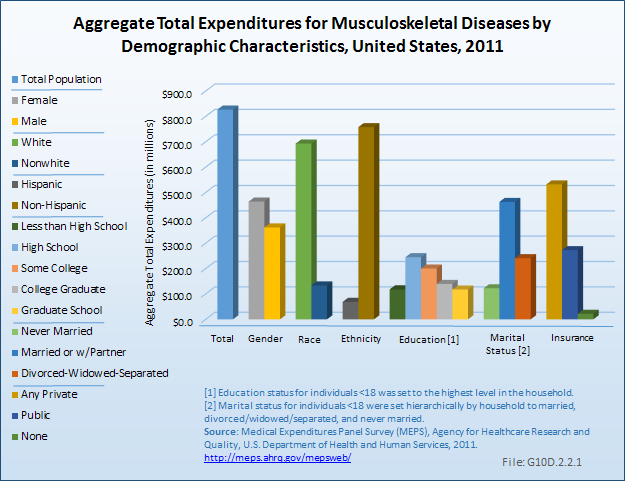 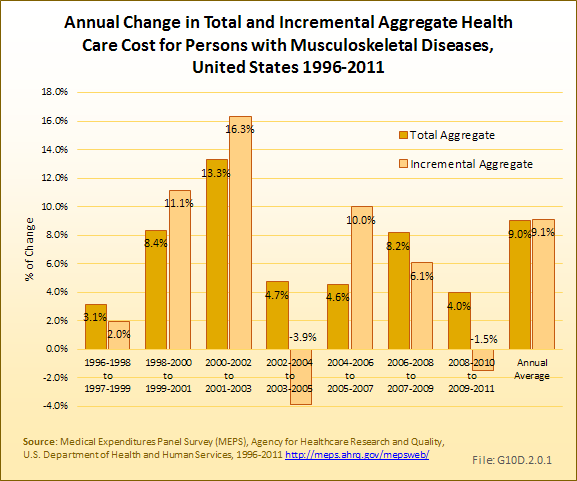 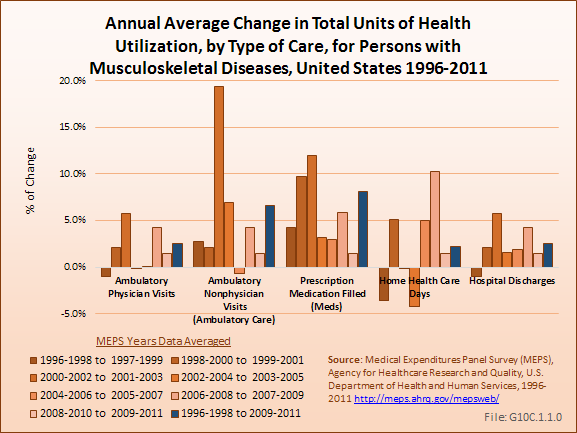 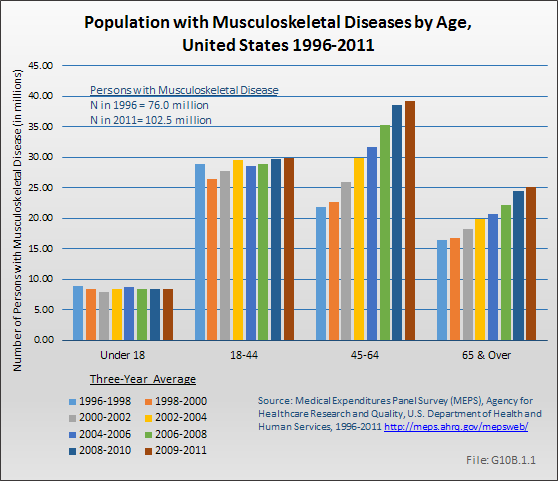 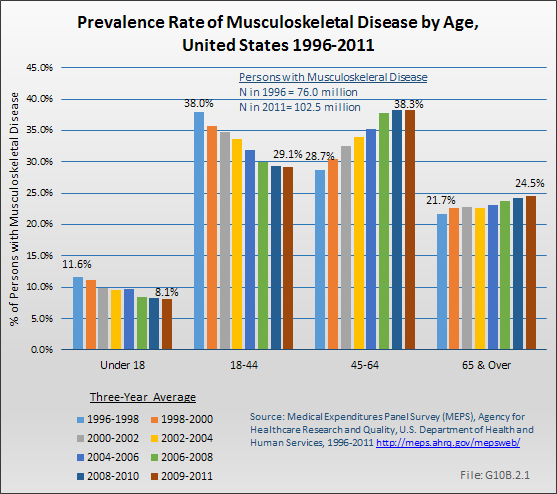 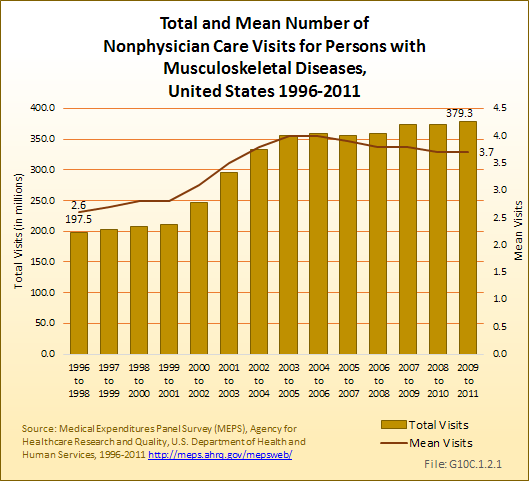 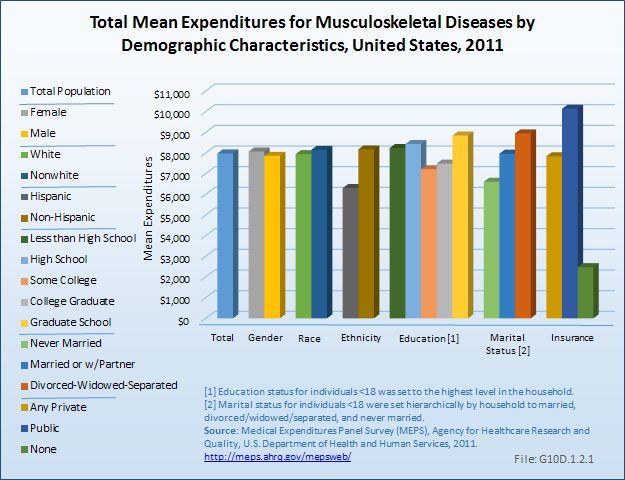 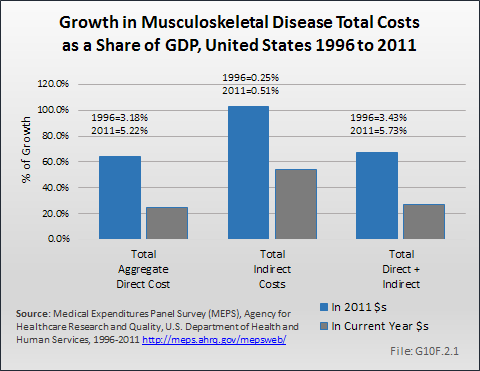 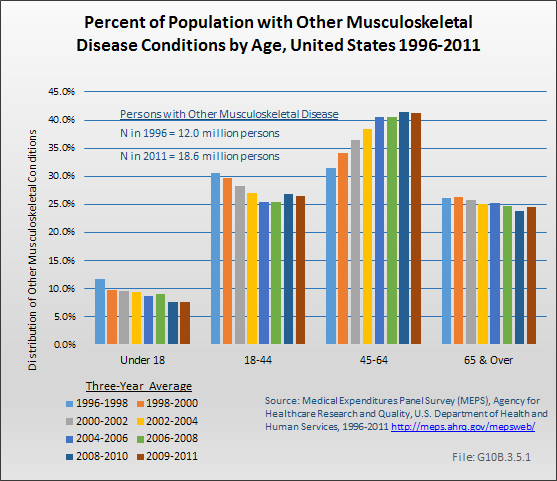 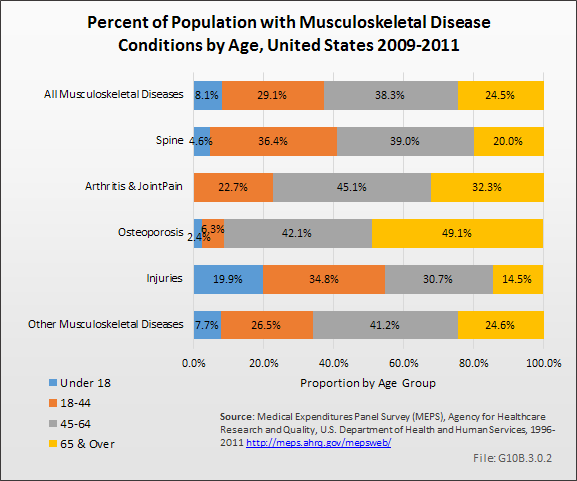 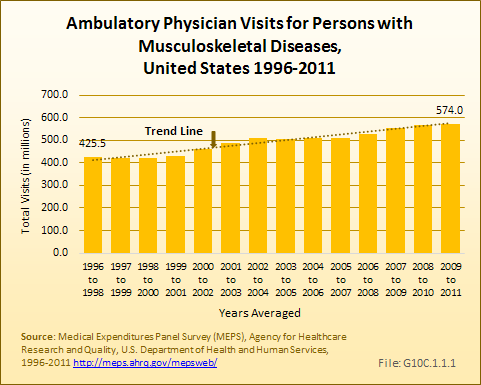 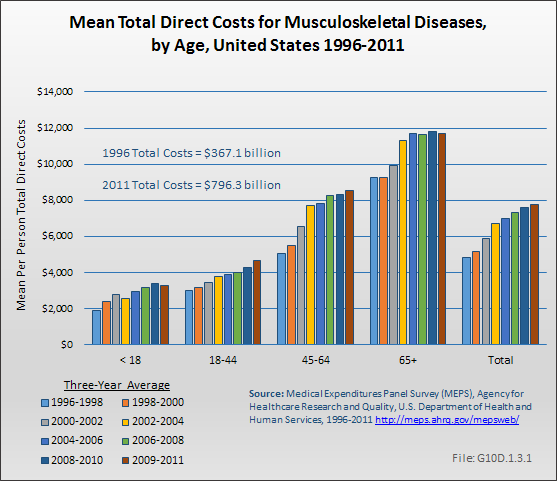 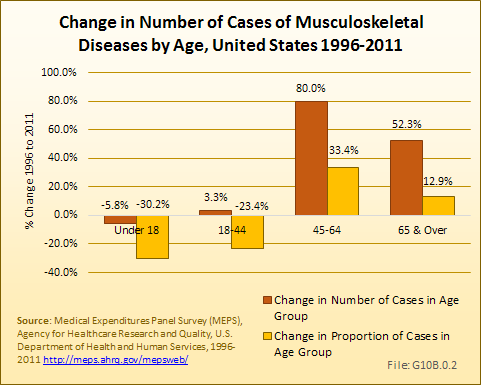 In 1996 to 1998, aggregate total expenditures for persons with a musculoskeletal disease, whether for musculoskeletal disease or other conditions, represented 3.2% of the GDP in 2011 dollars. 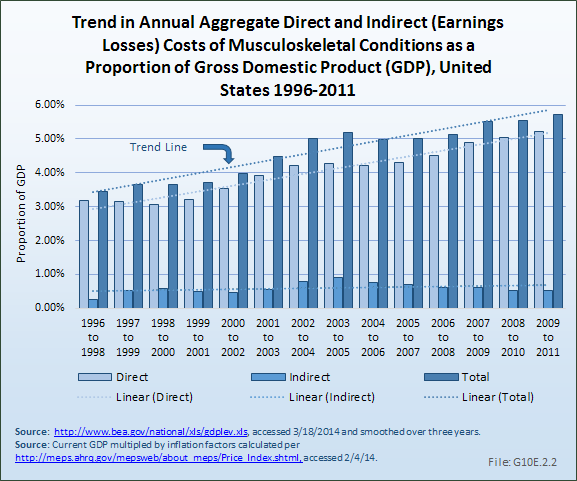 By 2009 to 2011, the proportion had grown to 5.2% of the GDP. 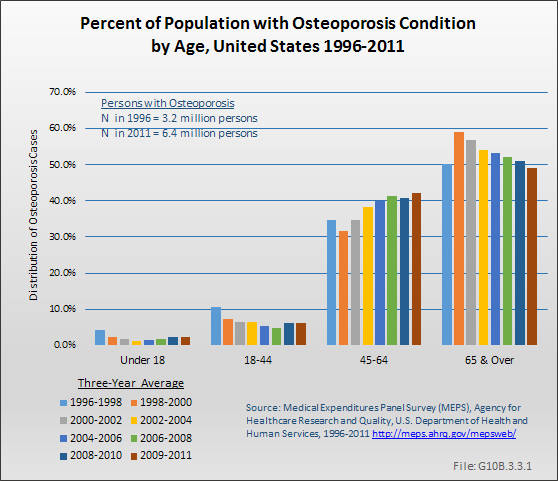 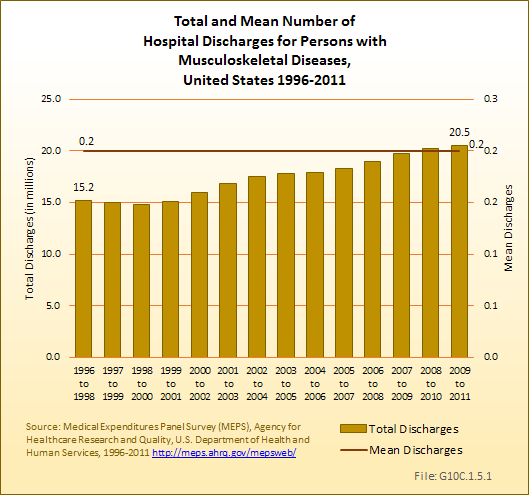 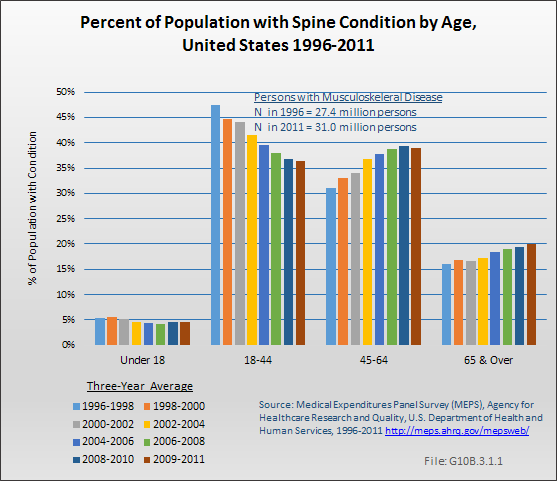 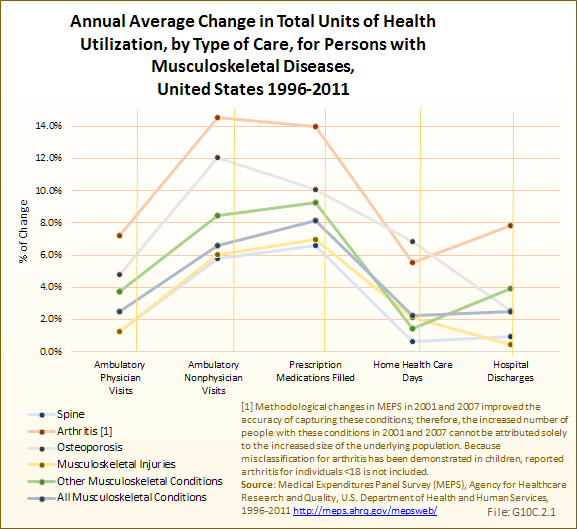 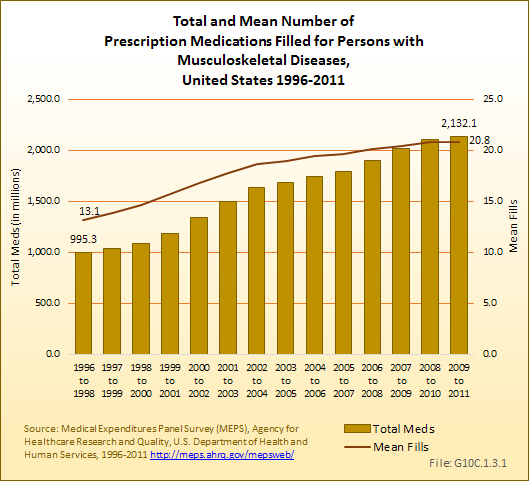 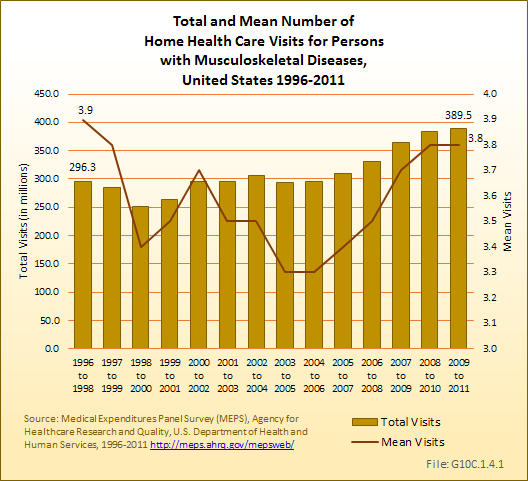 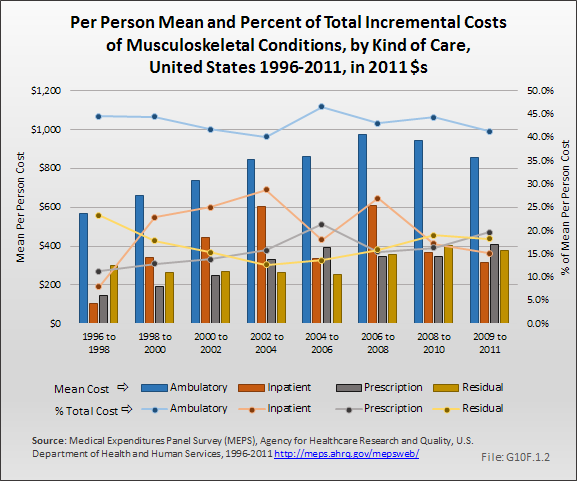 Aggregate incremental expenditures, due to the higher number of persons with a musculoskeletal condition and the increased incremental expenditures per person, increased from $97.3 billion in 1996-1998 to $212.7 billion, in 2009 to 2011 when expressed in constant (2011) dollars, or by about 119%. 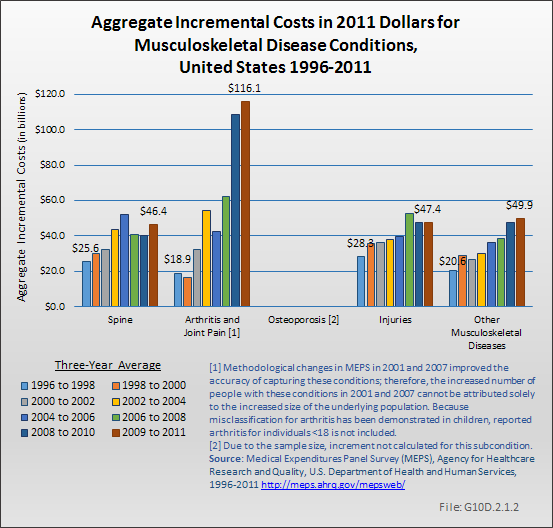 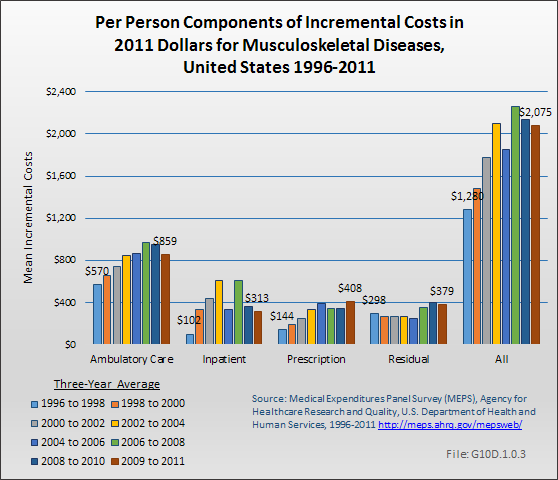 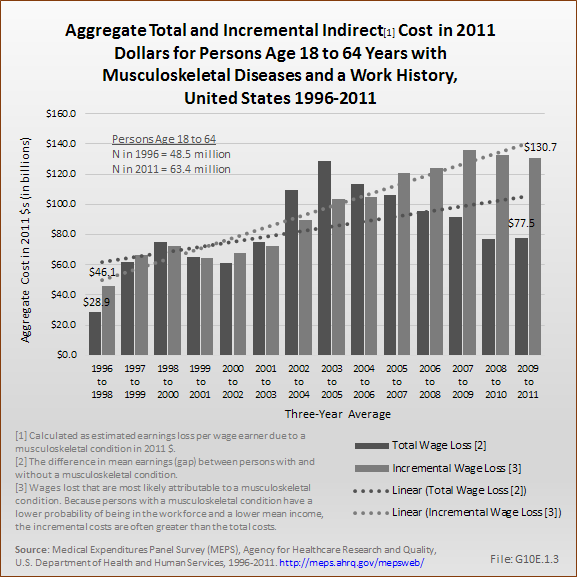 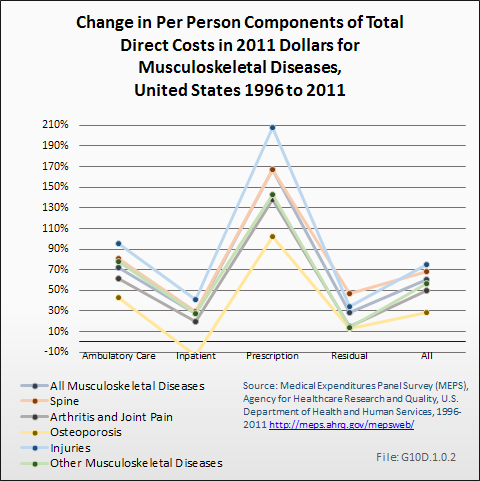 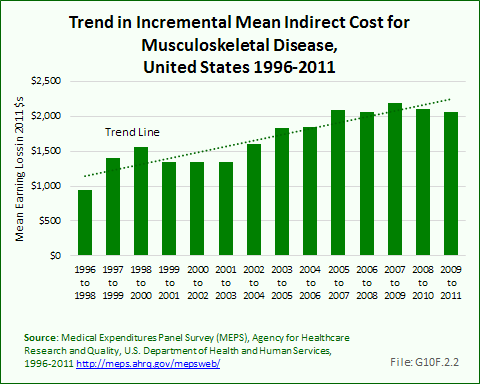 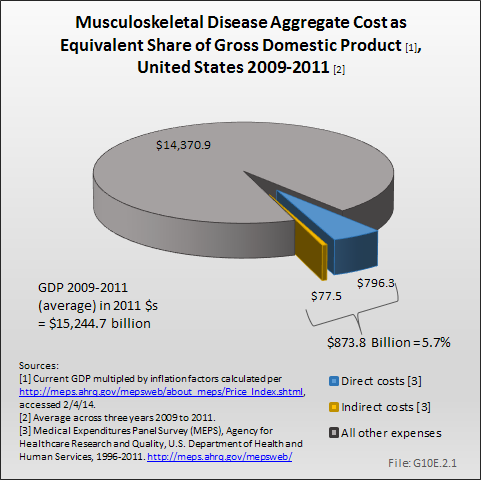 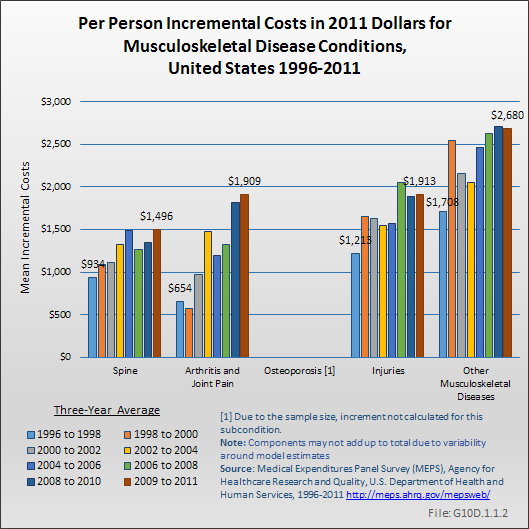 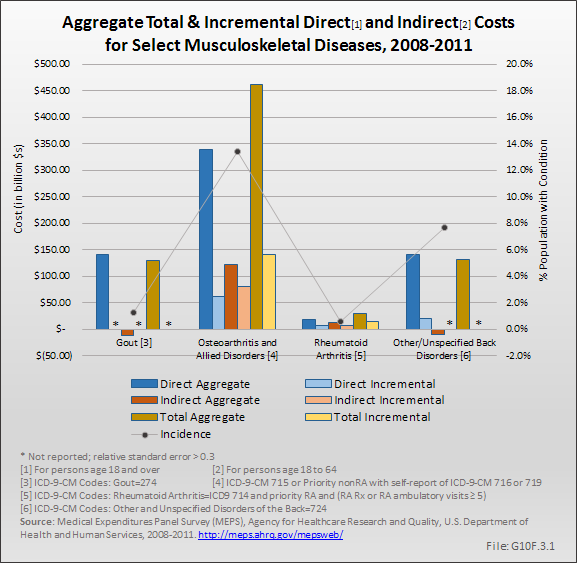 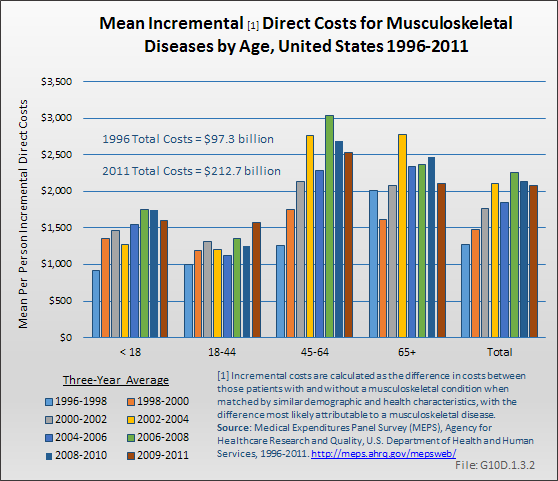 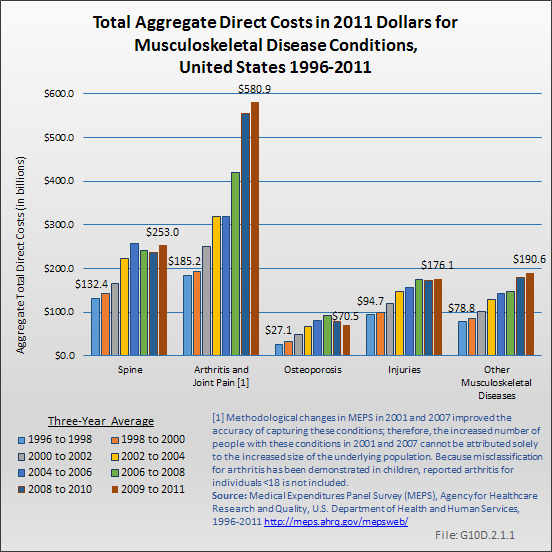 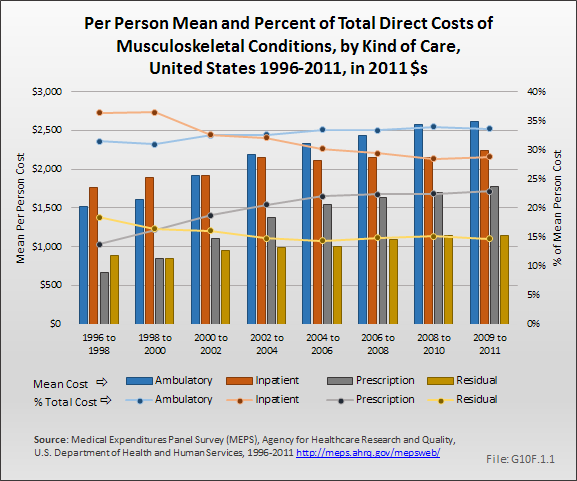 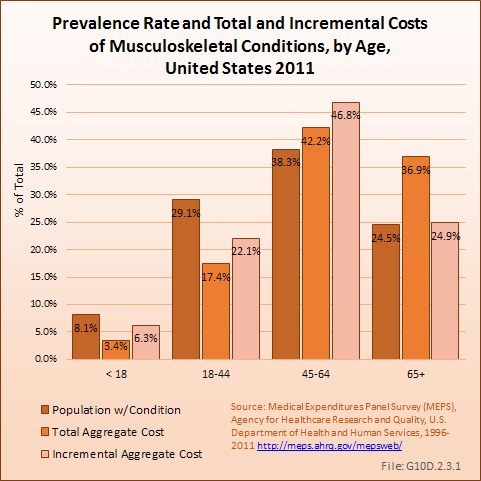 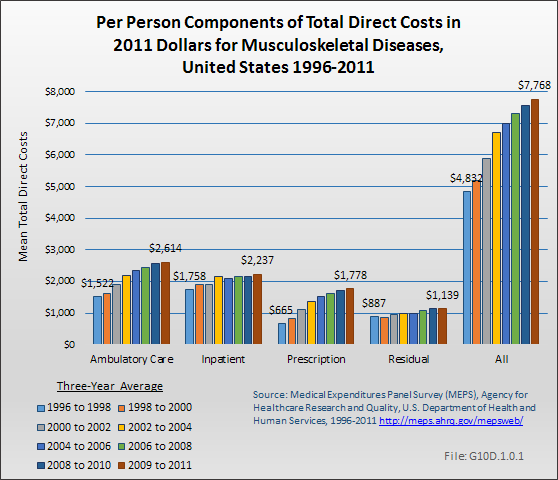 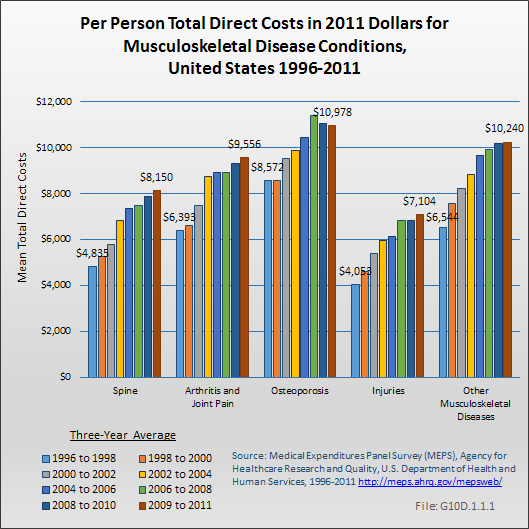 Incremental cost associated with a musculoskeletal condition represented the equivalent of 0.25% and 0.5% of the GDP in 2011 dollars, for the respective time frames.